Just look at my new favourite charity shop cups! 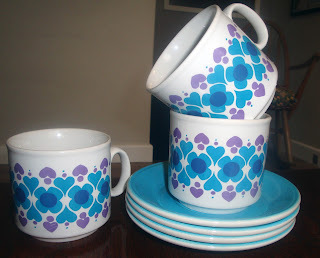 I love the colours and the bold and a bit naive style pattern. These were a Mother's Day present from Ian and Delilah. I must say I was so very impressed with their thrifting!